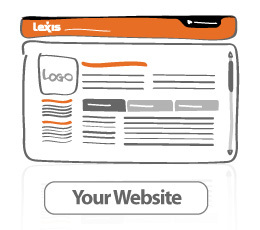 Set your LEXIS personalized microsite* as you like it and build a trusting relationship with your potential clients. Thanks to this Web page, you will be able to establish a more direct and personal connection with your clients, who will be free to check all the information you publish. If you are a freelancer, seize this opportunity to show your working capacities, language combinations, specialization fields and personality. If you represent an organization, the LEXIS microsite* will offer you a new way to promote your products, services and projects. *This option is only available to PROFESSIONAL PREMIUM members. Discover how you can display your microsite! Even though you already have your own Website, the LEXIS microsite is still the best way to assure your clients that you belong to a renowned language service providers community and that you comply with its code of ethics. If you want to subscribe to a PROFESSIONAL PREMIUM license, go to the Membership page and find out every advantages of becoming a LEXIS member. If you represent a company offering professional products, a university or a publisher, see the benefits of becoming a PARTNER.